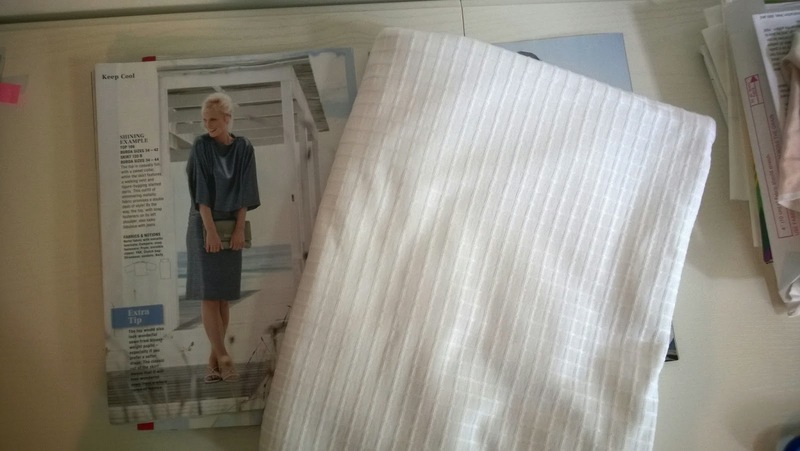 The pattern is Kwik Sew 2821, one that I've used before. The fabric I used is a thin, drapey cotton-viscose (rayon) remnant I found at the department store fabric section. I was drawn to the print but immediately knew I wanted to use it as a nightshirt. 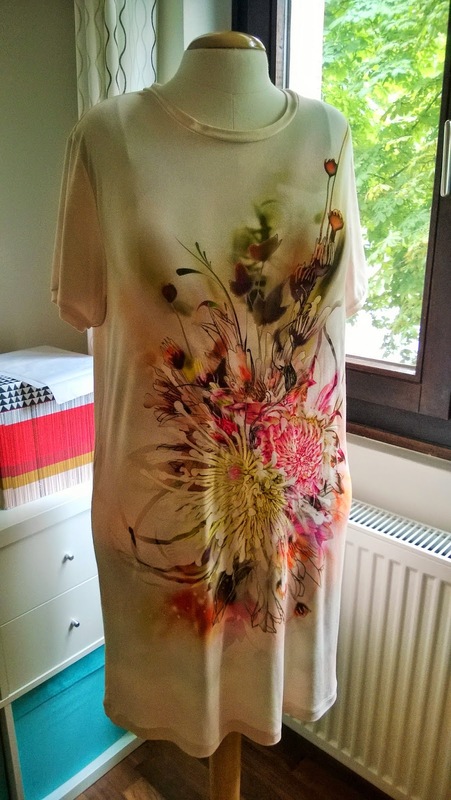 I really like the way the flowers look like they're hand painted, and if I were an edgier, artsier person, I would have made an edgier, artsier top out of this fabric...but I'm not, so it's just a boring nightshirt. The print is a panel-print on only part of the fabric: the flower motif repeats every meter with nothing printed on the other half of the fabric. I used one motif for the front and decided to use the plain fabric for the back, sleeves and the bands on the neck and sleeves. I used my serger for almost every part of the construction so it was fast and easy. My next project will be a bit more interesting (I hope). I'm making the BurdaStyle top in the picture below, though you can't see it very well in the model's photo. I'm thinking of making some minor changes to the sleeves and front, but we'll see. I won't have a lot of sewing time in the next couple of months because we have trips to Croatia, Norway and Paris planned, and family is visiting. It's going to be a busy summer!